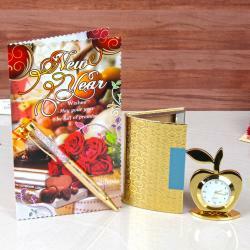 Product Consists : 1 Silver Steel Hip Flask, 2 Shot Glasses, 1 Funnel along with Masala Cashew (Weight : 100 gms). 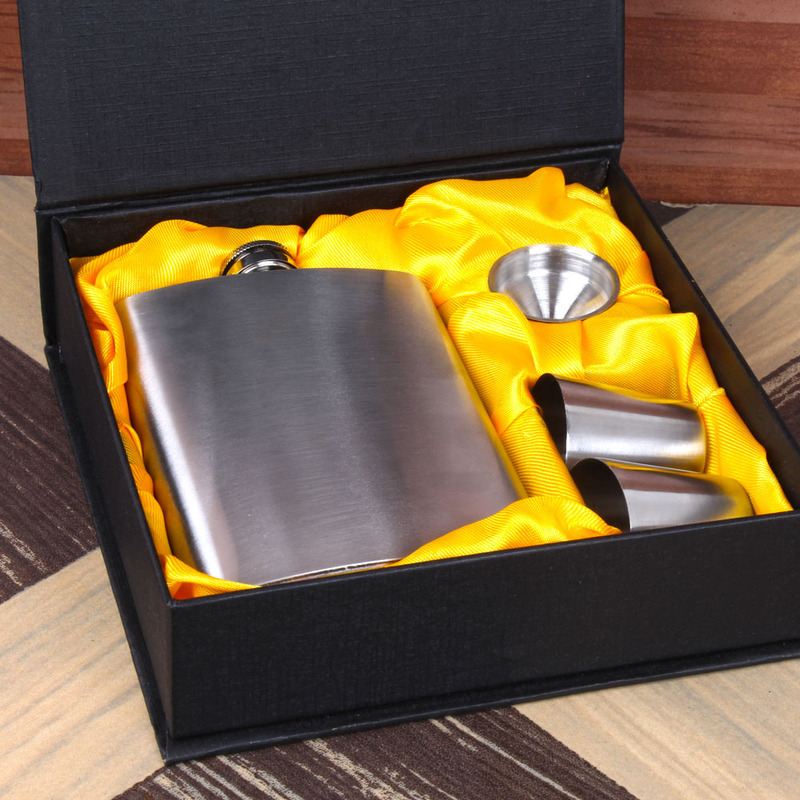 Liquor silver hip flask is the best gift set for all drinkers. 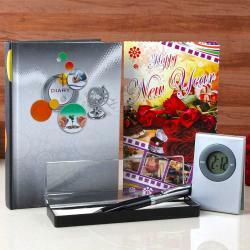 Giftacrossindia.com is an online gifting with satisfied quality and best service. 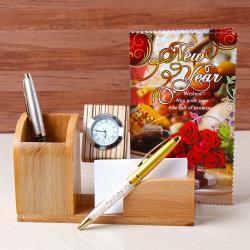 Gift this good quality and user friendly products for your modern kitchen. 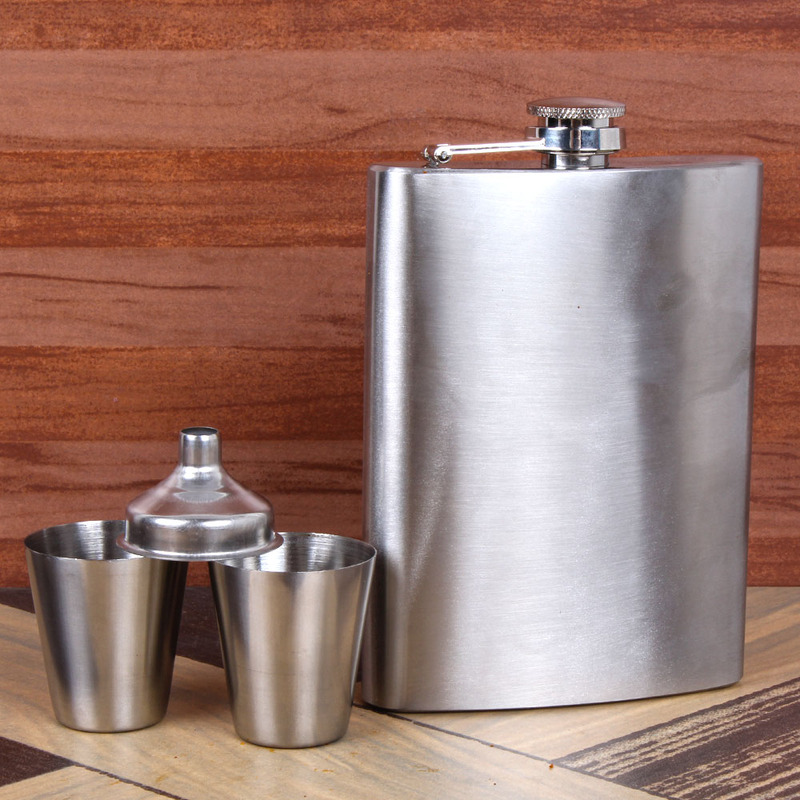 Be it camping or a night out with friends, you can keep your favourite beverage in this beautiful hip flask. Its slim and compact structure increases its portability, allowing you to carry it anywhere with you. Durable Stainless Steel Hip Flask and Shot Glasses with 1 Funnel. 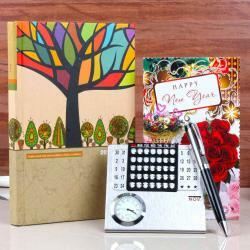 Amazing Gift for Friends, Colleagues or for Personal Use. Silver Steel Funnel ensures a perfect pour of your drink. Your satisfaction is our priority. Liquor Set with Masala Cashew combo. 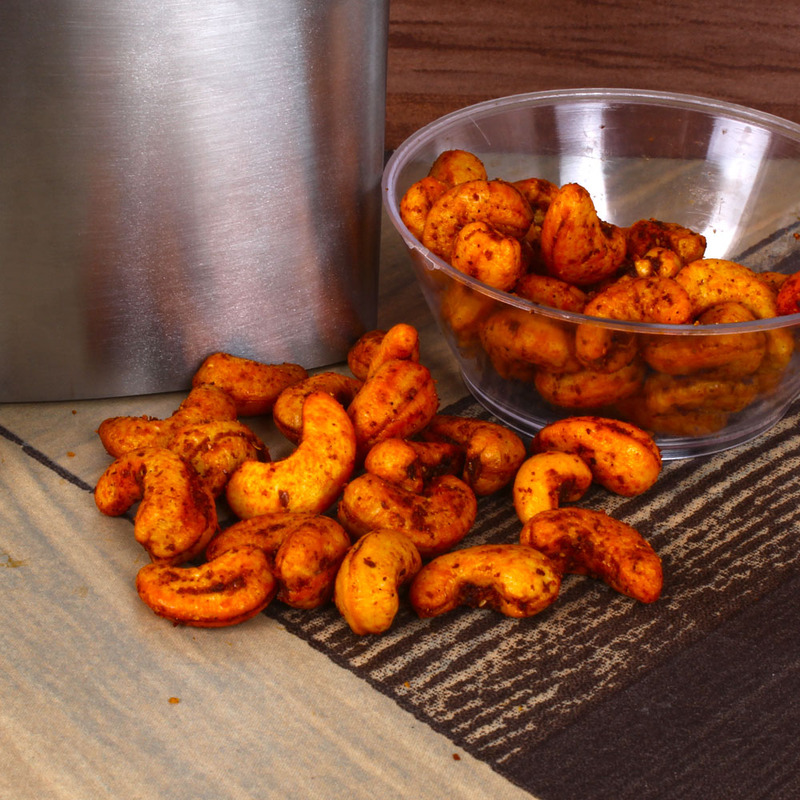 Masal Cashew is very good combination with liquor. 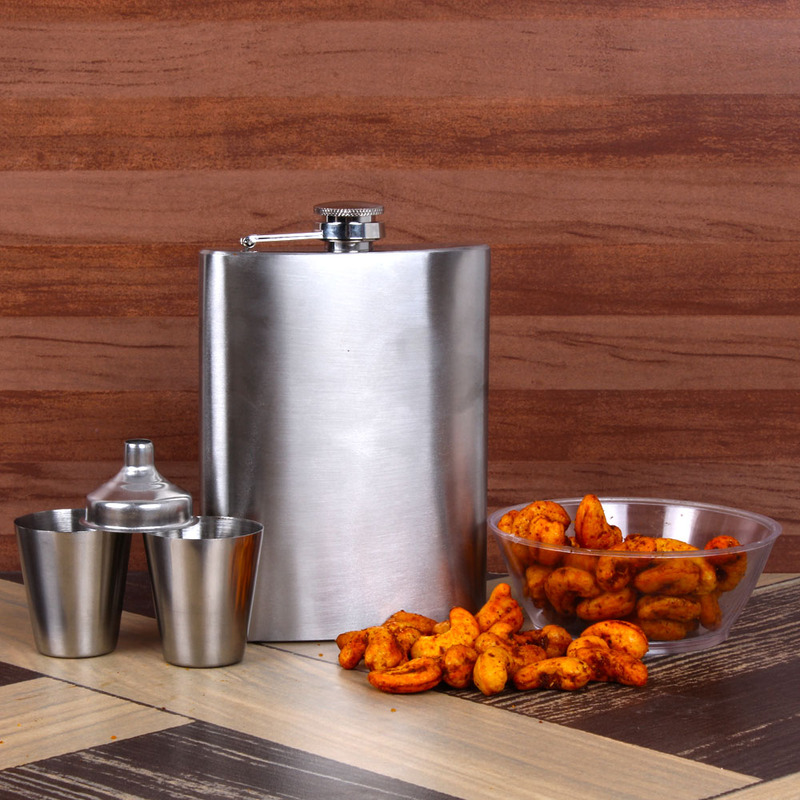 Product Consists : 1 Silver Steel Hip Flask, 2 Shot Glasses, 1 Funnel along with Masala Cashew (Weight : 100 gms).